ItemBARK_1990.0003.1093 - Mrs. Lim Foon Hai Hoy with a daughter, possibly, and two unidentified men; circa 1955. Item BARK_1990.0003.1093 - Mrs. Lim Foon Hai Hoy with a daughter, possibly, and two unidentified men; circa 1955. Mrs. Lim Foon Hai Hoy with a daughter, possibly, and two unidentified men; circa 1955. 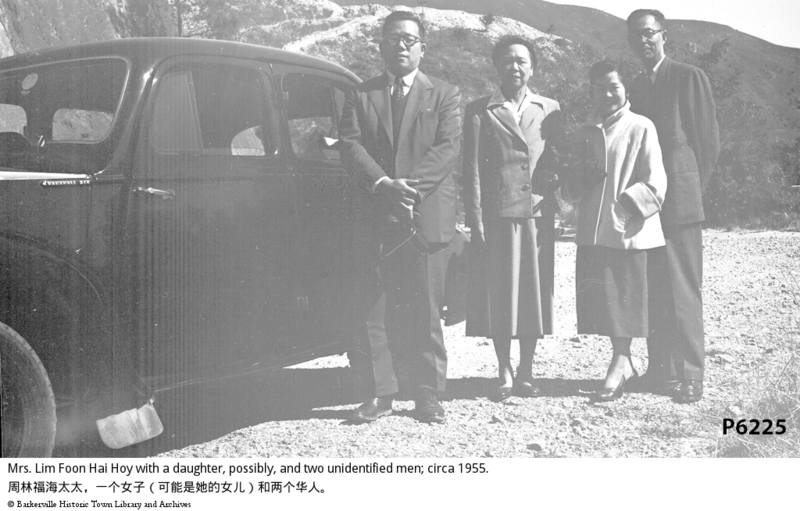 Depicts Mrs. C. D. Hoy, a Chinese man and Peter Joe and his wife Lona Joe (nee Hoy) standing next to a passenger vehicle in an open area. In the background are large rolling mountains. The car is a Vauxhall.